In the depths of the Polish countryside lies the little town of Raków (Racovia). Raków today shows few signs of its illustrious history as the chief center for progressive religious thinking in Europe. 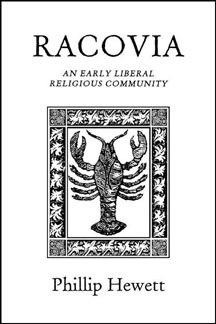 Founded in 1569, by the early seventeenth century it had become "the Unitarian capital of Europe." Its academy attracted scholars and students from all over Europe. Hundreds of books poured from its presses, including the famous Racovian Catechism, published four centuries ago and still in print.